If you’re looking for an online poker site that has the potential to really give you a little bit of everything, then William Hill Poker is just that site. They are known for having a massive sports betting site, and also for being one of the oldest and largest sportsbooks out there in the United Kingdom. Most recently though, William Hill has signed a partnership with The Football Association to become an Official Supporter of England’s national soccer team (or football, whichever you’d prefer), which will keep them as an Official Supporter until at least the end of 2014. The numbers at William Hill Poker are going to give you plenty of action consistently, especially since they have become a part of the rapidly growing iPoker network. If you check the numbers you’ll find around 10,000 cash game players through the peak hours, and about 55,000 tournament players during those peak hours. When looking at this numbers, you’ll notice that a key reason why so many players choose William Hill is because of the game offerings, as they feature more than Texas Hold’em and Omaha or Omaha Hi/Lo. William Hill will also offer you Seven Card Stud, Seven Card Stud Hi/Lo, and Five Card Stud, giving you options to play whatever type of game that you enjoy. Cash games, tournaments, and even sit-n-go’s can be consistently found running at William Hill Poker, and if you are into the tournament scene you’ll see a massive $16 million in guaranteed prize money each month through the events that they run. The have tournaments for all level of player, and we’ll look more at this below. 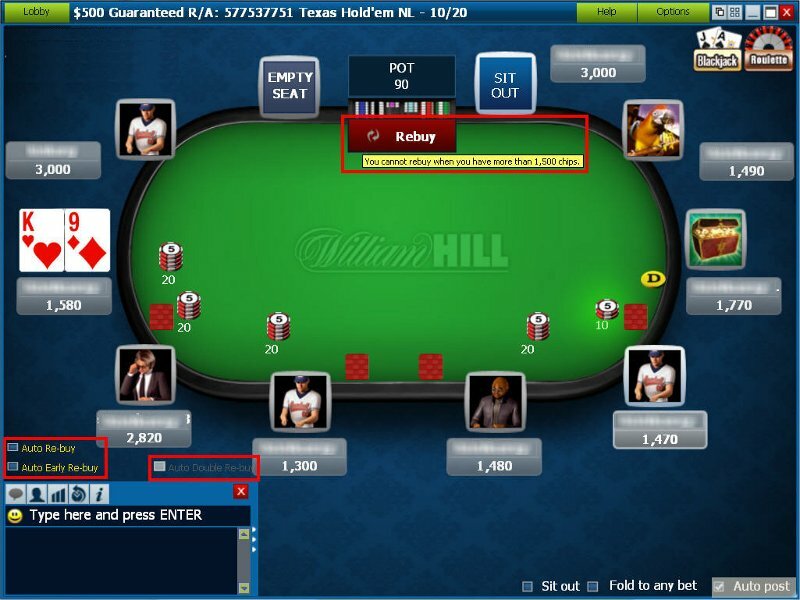 Let’s take a look at what exactly William Hill Poker is going to offer to their players, and why they’ve consistently stayed as a top contender in the online poker world as well. These are two things you probably scroll and search for right out of the gate. Fortunately, we’ve got the information here for you, so look no further. Not only can you get a $2,000 sign-up bonus with a 200% match, giving you a ton of free money to play on the site with. You can also take part in the refer a friend bonus that will award you $50 for each and every time that you bring a player to the site and they get in on the action. It’s always nice to get free money, and you can also earn some with the bad beat bonus from William Hill that pays you $150 for losing with quad Jacks or better. If you lose with this make sure to email customer support to get your money! The bonus payout will give you your money over time, based on how much you play. You are going to get $10 released into your account for every 700 William Hill points that you earn, which means that you’ll have to play around 35 tournaments that have a $1 fee attached to get that, or play 235 hands of cash game poker with a $1 rake being taken. 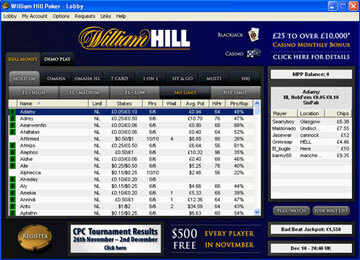 The Loyalty program is also a big reason why players look at William Hill as a top player in the online poker world. I personally really like what you can earn here, as you can not only get access to the Loyalty Shop, but you can gain many different things based on the tier that you fall under. Not only do you get entries into different freerolls, or get the opportunity to get cash back, but if you really play a ton on the site and get to the top tiers, then playing for a sponsorship is a definite potential, which is a pretty incredible deal. We all know how popular poker tournaments are these days, and many players are strictly tournament players. William Hill Poker is going to offer you a wide range of tournaments featuring lower buy-ins up to the big time buy-ins, just depending on the day and time mainly. There are guaranteed prize pools starting for as low as $400, and can go all the way up to the massive Sunday Guarantee that has a $250k guaranteed prize pool attached to it. There is also a $100 rebuy on Fridays with a $150k guarantee, and a $50k guaranteed event on Saturdays. You don’t have to always just pay to get into the events either, as they offer a ton of qualifiers to give you a shot at getting in on the action. Not only do they offer qualifiers and satellites into their own tournaments, but also into huge poker tournament series’ such as the European Poker Tour, and even the World Series of Poker. For those players looking for the freerolls, William Hill has you covered there as well. You can find freerolls running fairly often, with a beginners $50 freeroll, and also $100 freerolls that run over the first three months of signing up. If you pay 2,000 or 3,000 William Hill points then you can also play in the $2,000 or $3,000 freerolls that run each week. The level of play at William Hill is going to benefit the players who know how to play the game. You often times will find players who have come over from the sportsbook in order to get in on some quick poker action, or even players who are just looking to have some fun. 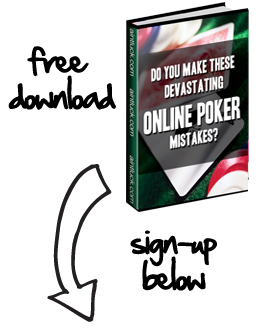 This benefits that consistent poker players, especially if they can stay focused and patient to look for their spots. You’ll see some tables that have huge viewed-flop percentages, meaning that you have a group of loose players at the table.